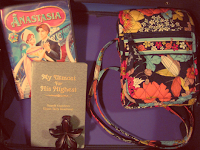 Girls for God: What's in My Suitcase? Tomorrow after church, I will be huddled into a compact car with an array of loud family members, heading out-of-state for a vacation in the mountains. (There are mountains in Oklahoma? Who knew?) I thought I'd give you a glimpse into what I'm bringing along to keep me occupied while I chill in a hot tub in my new swimsuit. (Such a chore, I know.) Wondering what to pack for your trip? Check out my top tips. Cool! Well I hope you totally enjoy your vacation! I am also heading off in 8 days for a 5-day camp, by myself, with nooo family. It won't come fast enough! 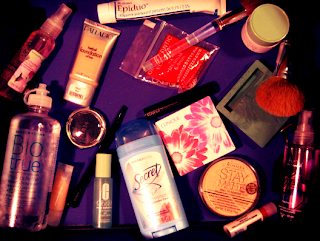 I like all your make-up products and stuff, even though I don't know what half of them are (I am 13, so I don't wear anything but lip gloss. It works though. ), but they are cool looking! Oh and I love princesses! 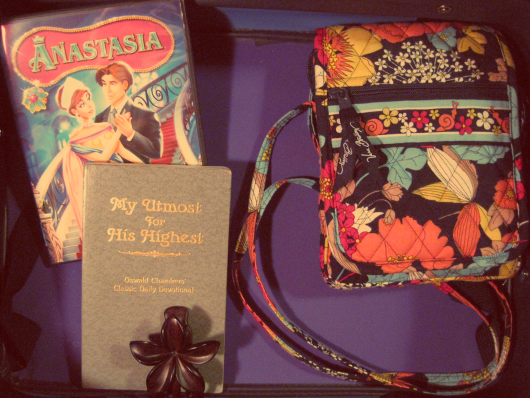 Especially Anastasia ;) Loving the Ipod touch case! Oh and, you might want to bring some ear plugs. Loud family members, my expertise'. Have fun!! I hope you have a good time on your trip! I just cranked up my iPod, curled up with my Dora Pillow Pet, and fell asleep the whole car ride, all whilst my siblings were screaming and kicking. Haha. Yay! 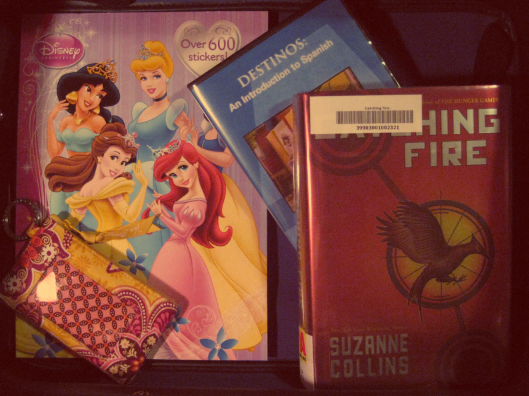 Princesses are the best. And actually, it's a coin purse/id case from Vera Bradley. I love it. Have fun at camp! Ha! Well I imagine that saved you a lot of chaos! Pillow pets are awesome! I have a mini purple hippo, and a big dolphin! I love the purse! Thank you, I will!